Beyond first rate pet care, we make our clinic comfortable, kid-friendly, and provide a very calm environment so your pet can relax and look forward to meeting his or her own veterinarian. I love these people! My cat Balin is not the best at vet visits. In fact he's downright nasty to deal with in the office, though I swear he's a total sweetheart at home, but they have found solutions for him and always treated him nicely even if he is a devil when he's there. They have helped me take such good care of my fur baby! Highly highly recommend! Love this Vet. They treat our dog like he is their own. Our last dog had to be put down and they were so kind. They even sent us a card. Our new dog we adopted from a shelter and they gave us his first checkup free. They encourage you to rescue dogs. The doctors are awesome! The nurses rock too! Best place in Windsor. Love this Vet. They treat our dog like he is their own. Our last dog had to be put down and they were so kind. They even sent us a card. Our new dog we adopted from a shelter and they gave us his first checkup free. They encourage you to rescue dogs. The doctors are awesome! The nurses rock too! Best place in Windsor. Simply put, the highest quality of veterinary care one could ask for. Compassionate and highly competent staff, a state-of-the-art and spotless facility, and AMAZING veterinarians in Dr. Engel and Dr. Paternoster. I did a lot of research when looking for a new vet after moving to Northern CO, and I couldn't be happier with The Meadows! 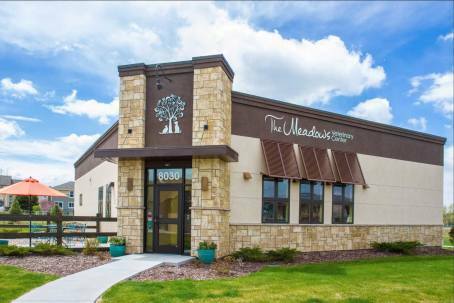 I would Highly recommend the Meadows Vet clinic not just because they have exceptional service, but the special touches they have throughout their office. The dog beds in the exam rooms were one example and the care and time they took with our dog was commendable.